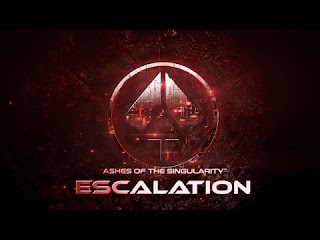 Ashes of the Singularity was the first PC game to come out with full DirectX 12 support and now it has also become the first Ryzen optimized title out there. In an interesting turn of events, Oxide Games – the studio which created Ashes of the Singularity – has released a patch update to improve the game’s performance on AMD’s recently launched Ryzen processors. Independent reviewers with access to game’s latest beta version have already run benchmarks and results demonstrate a performance boost of around 20%. This not only improves the in-game standings of Ryzen 7 CPUs but more importantly, it gives us an idea of what could be done if game developers are willing to tap into Ryzen’s ample resources. 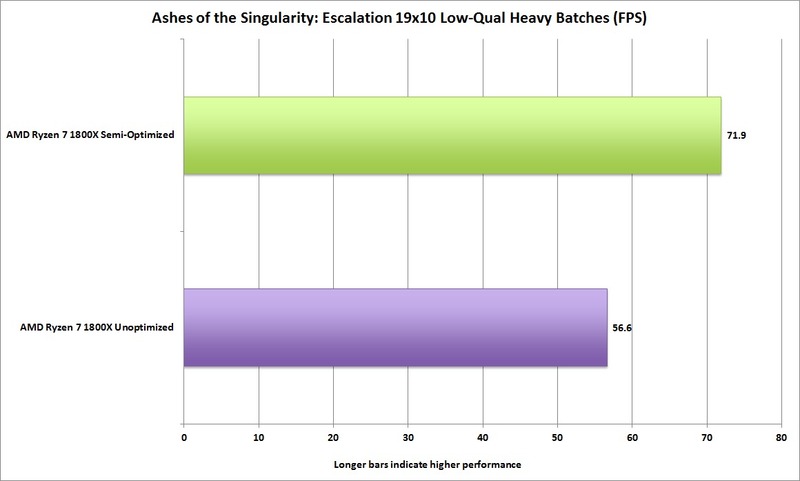 As you can see, the performance increment for R7 1800X after implementing the patch is quite significant. 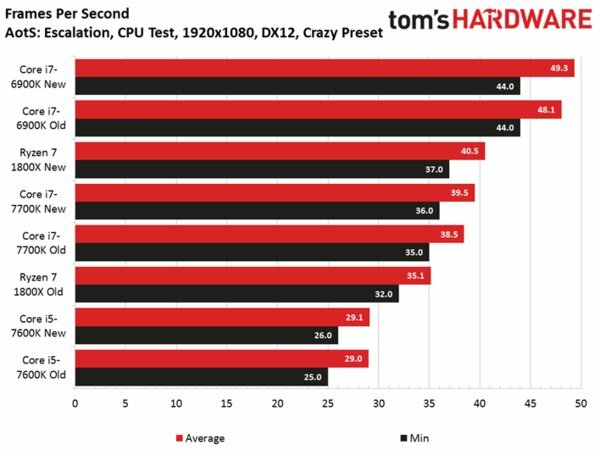 The new result puts the AMD chip ahead of Intel’s flagship Kaby Lake i7-7700K in Tom’s Hardware benchmark, although the i7-6900K is still leading the pack. According to the Oxide Games’ Dan Baker, these are pretty early days for Ryzen specific optimization. Here is what he said to PCWorld – “Every processor is different on how you tune it, and Ryzen gave us some new data points on optimization. We’ve invested thousands of hours tuning Intel CPUs to get every last bit of performance out of them, but comparatively little time so far on Ryzen.” Not bad for a month’s work is what we’d like to say! When AMD’s Ryzen processors made their debut back at the beginning of this month, 1080p gaming seemed like the only letdown in what was otherwise a flawless showing. 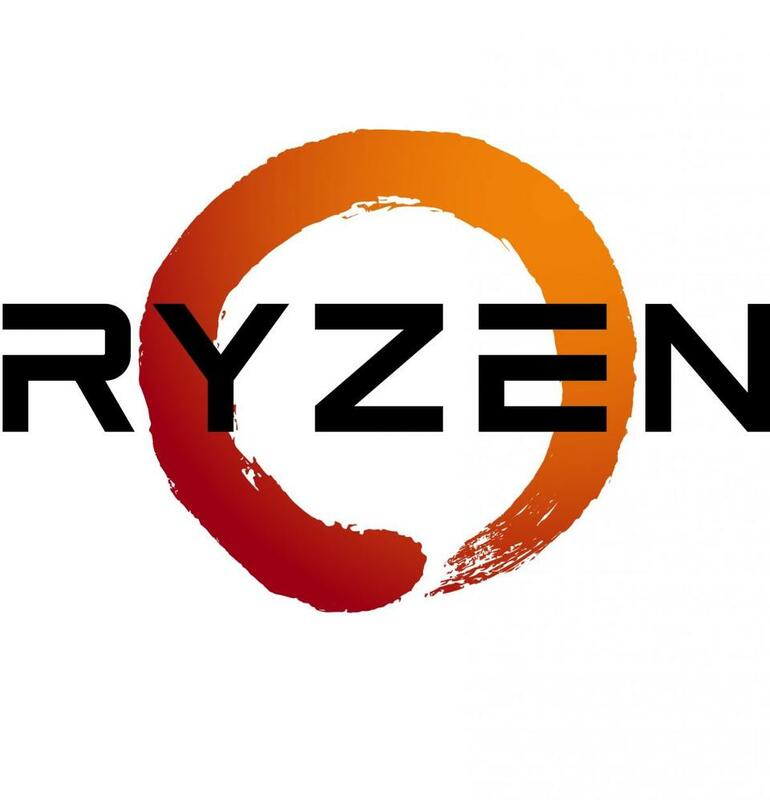 It was kind of vexing seeing how Ryzen’s chart-topping computing performance transformed into some mediocre gaming numbers, especially in games like Ashes of the Singularity, Tomb Raider and Fallout. While still ways ahead of older FX parts and only noticeable in lower resolutions, Ryzen’s best efforts fell short of delivering Broadwell-E like performance in those tittles. The results of AOTS was particularly striking as this is one of the few titles out there with the ability to scale with extra cores – something Ryzen 7 chips have no shortage of. 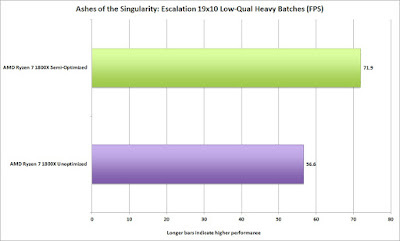 We already have handful of theories on why some gaming benchmarks don’t reflect the excellent IPC gains that AMD has made with its Zen cores. Initially, some experts attributed this Windows 10 and its non-optimal thread scheduling of Ryzen processors. An 8-core/16-thread Ryzen 7 chip is composed of two Core-Complexes (CCX). In a given workload, if the execution threads are not distributed properly it might incur some latency due to thread migration between CCXs. But both AMD and Microsoft have already checked into the matter and denied any such possibility. Another concern is Ryzen’s dual-channel memory which some thought to be a limiting factor. AMD itself however pointed towards lack of optimization on game developers’ parts. 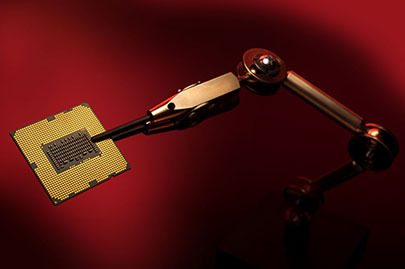 According to the company, developers write codebase with Intel processors in their mind and as a result most modern games are programmed to run better on an Intel platform. It claimed that Ryzen, having been a completely new CPU architecture, only needed time and support from the game developer community. 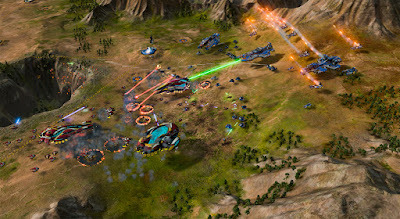 During the launch, AMD also made a point of its efforts to reach gaming studios with 300+ developer kits to enable the developers in harnessing Ryzen’s unique abilities. Although it sounded more like a “Muhammad going to the mountain” approach but it’s much more practical than waiting for the developers to change their mindset. For years, Intel chips have dominated the gaming market and it won’t be easy to sway the developers. The challenge of platform specific optimization, especially for one as new as Ryzen, is closely related with the extra time and manpower that goes into it. Fortunately for AMD, it enjoys a very close relation with the game developer community not only as a provider of PC processor and graphics but also as the manufacturer of both current generation consoles. AMD needs to lean on those connections and if the recently announced partnership with Bethesda is anything to go by, it is doing just that. Finally and perhaps more importantly, what we are seeing here is vindication of the fact that Ryzen, with proper optimization, could be a very competitive gaming processor. Now we have wait and see if others follow the example set by Stardock/ Oxide Games.